Many of the elegant old houses of Calais are gone and their absence creates a painful void in our history. However not all of our fine homes have been lost to the wrecking ball or fire. 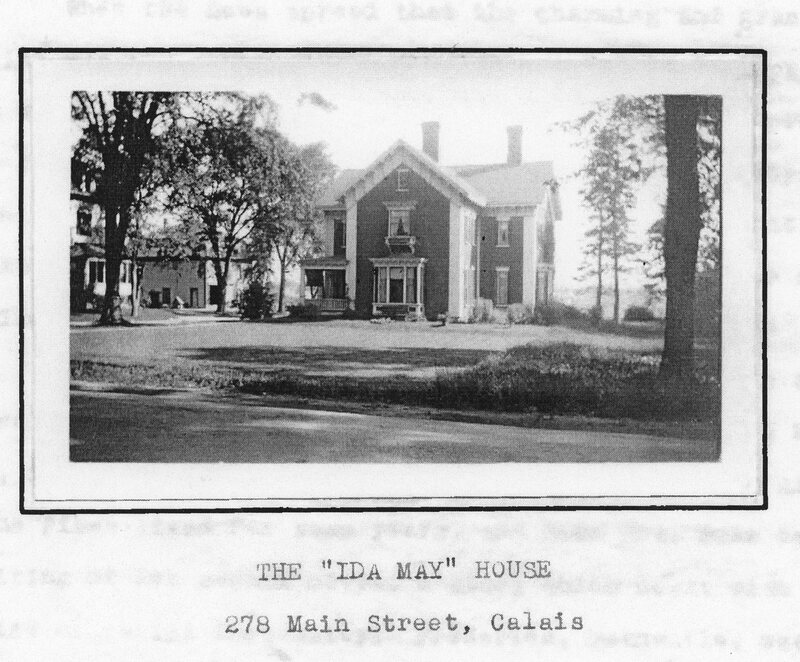 One of the oldest remaining homes in Calais is the house now owned by Gail and Bill Gould on Main Street just down Main Street from Memorial Park toward Hinckley Hill. According to its Historic District description the home is constructed in the Greek revival style with a shallow hipped porch roof supported by Tuscan columns. It was built between 1830 and 1840 and is an interesting home from an architectural standpoint but, as with all homes, not nearly as fascinating as the people who lived in it. Were you aware that the young woman who grew up the Gould House started the Civil War? Well, we admit that’s a bit of a stretch but it can be said with some confidence that she was a catalyst, a small cog in the wheel of history which was inexorably turning Americans against slavery in the 1840’s and 50’s. 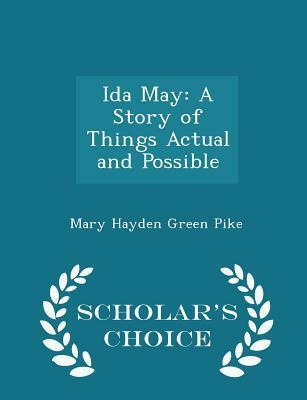 She was Mary Hayden Green Pike and was one of the “Feminine Fifties” authors of that decade who wrote novels with a message, in Mary’s case an anti-slavery message. 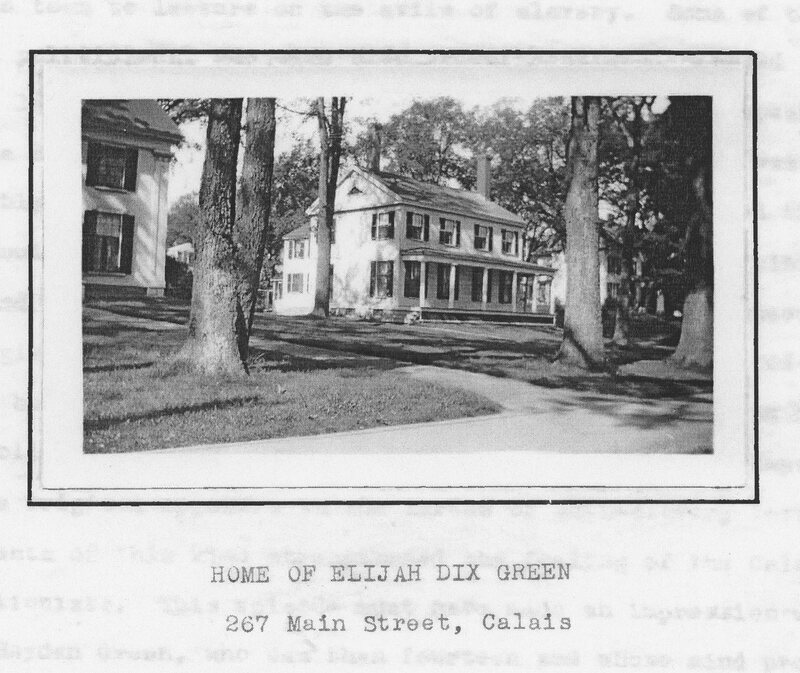 In the late 1820’s or perhaps early 1830’s Elijah Dix Green and his wife Hannah moved to Calais from Eastport to make their fortunes in the booming lumbering trade on the St. Croix. 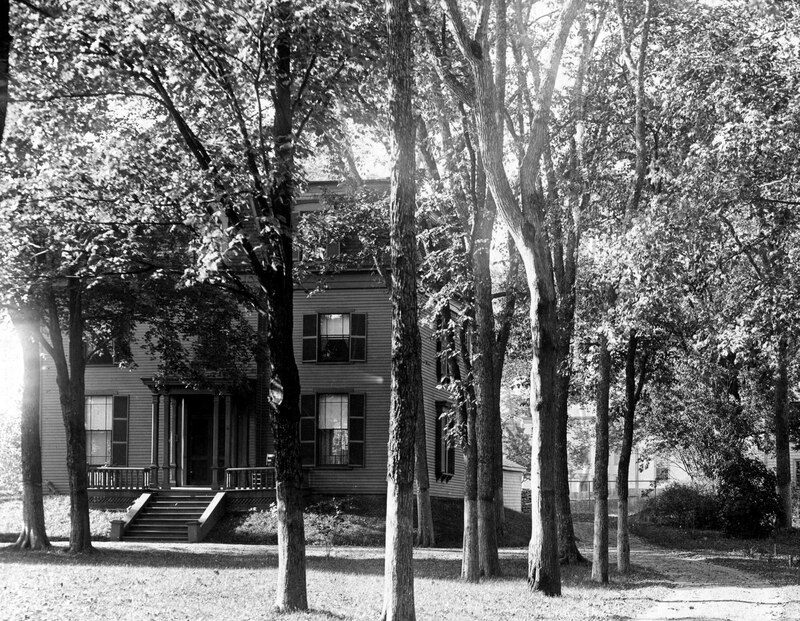 It was a successful gamble as Elijah soon became prominent in the community and, if not rich, wealthy enough to build the Gould home on Main Street. 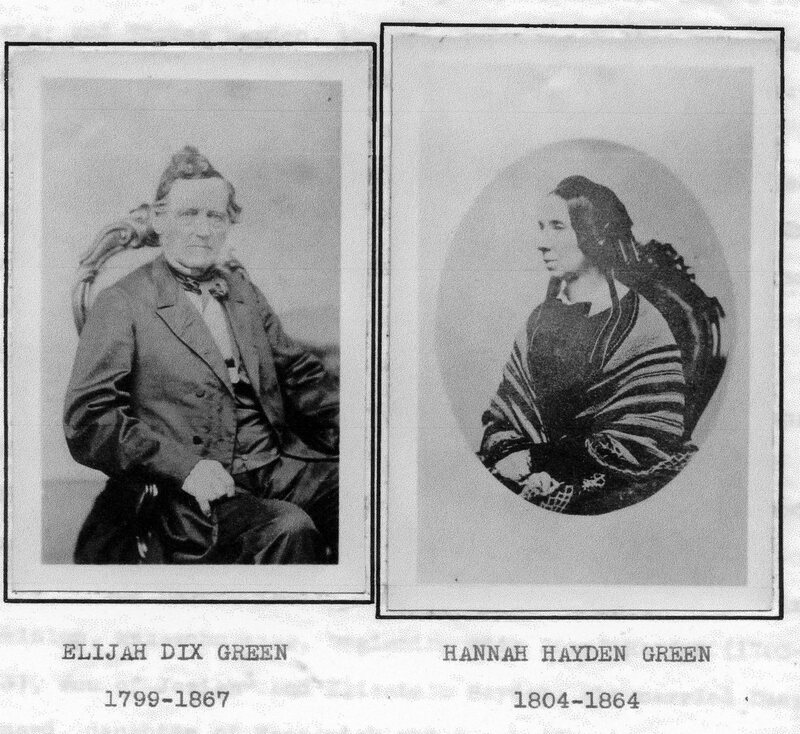 At the time they had only one child Mary Hayden Green, not yet ten. A son Thomas and sister Emma were to follow and several siblings died in childbirth or at a very young age. Elijah was a founder of the Second Baptist Church in Calais and Mary was very religious from a young age. During the 1840’s and 50’s anti-slavery agitation was reaching a fever pitch and many abolitionists requested permission to speak on the evils of slavery from the pulpits of local churches. This caused a good deal of dissension within the parishes as many religious leaders supported slavery and her father was often involved in these disputes. Mary took sides quickly and passionately against slavery. After completing her education in Calais schools and a female seminary college in Massachusetts she returned to Calais and in 1846 married Frederick Pike, a brother of James Sheppard Pike, Calais’ most famous citizen. Frederick was very prominent in his own right- he was a successful Calais attorney and politician, representing the State of Maine as a Representative in Washington in later years. He and his entire family were firm abolitionists and Mary took the cause to heart. Soon after her marriage to Frederick she traveled to the South to view firsthand the institution of slavery. What she saw only strengthened her abolitionist feelings. With the publication of Uncle Tom’s Cabin in the early 1850’s by Harriett Beecher Stowe, Mary realized the power of the printed word in changing social and moral attitudes and so decided to write a novel founded in part on her firsthand knowledge of slavery. The book was published in 1854 under the pseudonym of Mary Langdon. Mary feared it would harm her husband political career if she published under her own name but given the book’s popularity an intense debate began about the author’s identity and Mary was soon exposed. The book can still be purchased from various online sources such as Scholar’s Choice. A novel, it was an indictment of slavery in much the same vein as Uncle Tom’s Cabin and was very well received by the public. 60,000 copies were printed and sold, a very large number for the time and it was dramatized in a two act play. 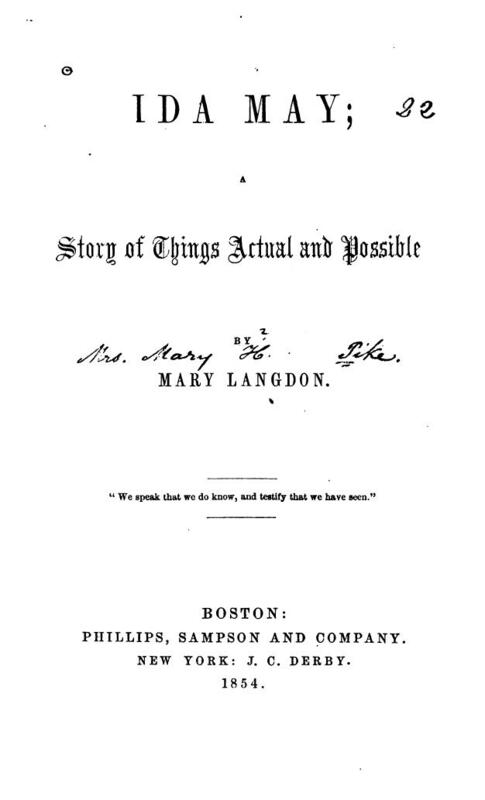 Two additional novels followed and although these were not as widely acclaimed Mary Pike’s high position among writers of the time was recognized in the first edition of the Atlantic Monthly which in 1857 listed only four prominent female writers, Mary Hayden Green Pike, Harriett Beecher Stowe and two others. Mary’s book sold so well she was able to build a new home for the family which included an adopted daughter, they had no children of their own. The home was on the other side of Main Street from her family home and was demolished in the 1950’s to build the International Hotel. At one time in recent memory it was known as the Keystone Boarding House. 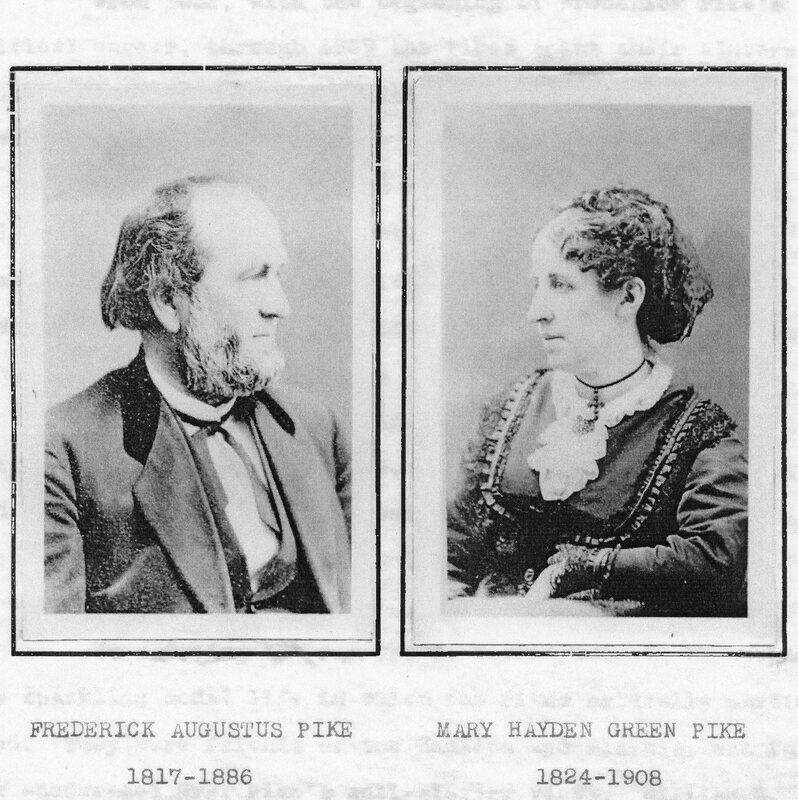 The Pike family moved to Washington D.C. while Frederick Pike served four terms as the Maine Representative to Congress during the Civil War. 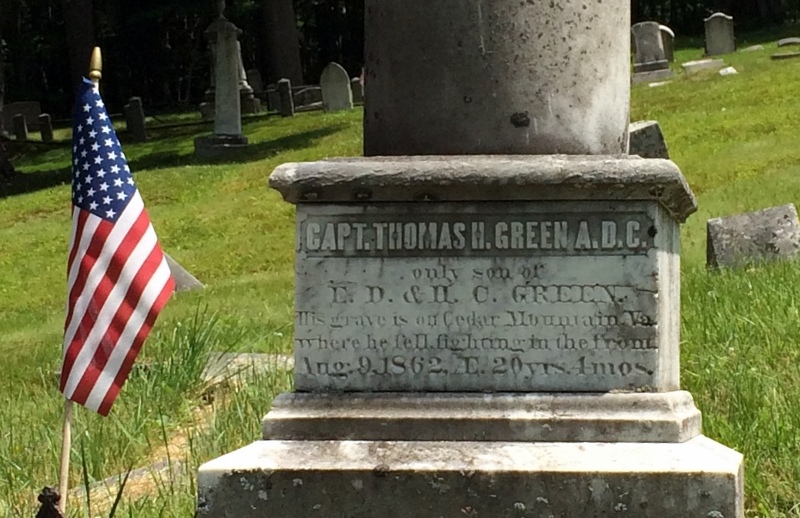 Sadly the war which achieved her dream of freedom for the slaves took her much adored and only brother, Thomas, who was killed at the Battle of Cedar Mountain during the Civil War. He is buried with her and Frederick at the Calais Cemetery. 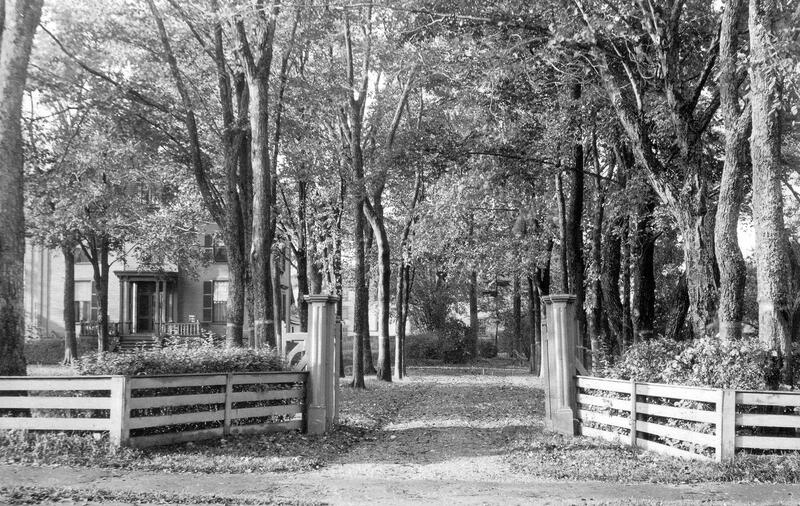 After their return from Washington they moved into the George Gardner property at the corner of Main and South Street. Once again they lived in one of Calais’ finest homes on Main Street. The property was later the site of the Two Acre Restaurant and Cabins and is now the Calais Motor Inn. From 1875 to 1885 the Pikes lived in Calais, usually spending their winters in Florida or in the South. The Pike estate was one of the most beautiful, if not the most beautiful, in Calais. 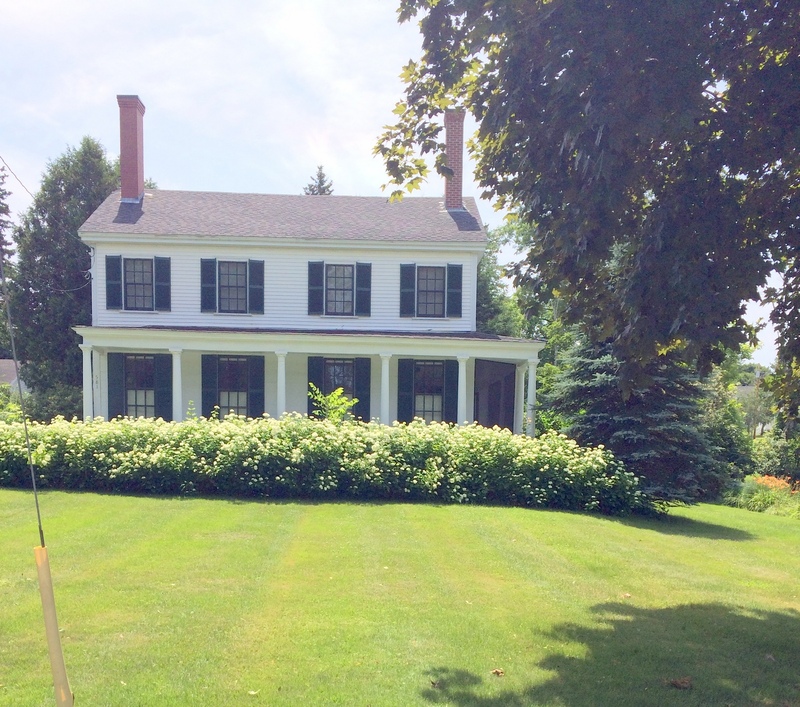 Five acres of lawn, grove, and hedge, with graperies, orchards, and gardens, surrounded the large square brown house. Fine elm trees almost hid the house from view, while hothouses and flower beds were on every side. The entrance to the grounds, lined with tall trees, was a gateway in imitation of that of a French chateau. Spacious grounds conveyed the feeling of ease and retirement which the Pikes enjoyed. Frederick was particularly proud of the graperies and Mary used to paint clusters of grapes f o r him. .Mrs. Pike, now in her early fifties, was described as an unusual woman, unusual to look at, fine in strength of features, and lively in expression. Although she was of a serious nature, she had a keen sense of humor. She fully appreciated a joke, many of which her sister provided. She was nevertheless somewhat of a dreamer. After Frederick Pike died in 1886 Mary went to lived with her daughter in New Jersey although she maintained a home here and visited often. She died in Baltimore at the home of her sister Emma in January of 1908. She is buried in the Calais cemetery with her husband and brother.